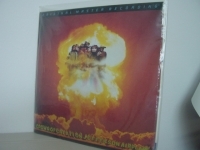 MFSL SuperVinyl JVC Japan Pressed LP - items 25 to 50 Shop MyMusicFix!! MFSL JAPAN JVC Super Vinyl LPs have been Out of Print for over two decades and are some of the finest and most valuable vinyl masterpieces ever produced. These titles set the standard of what would become known as Audiophile. The expense that went into these original MFSL Pressings have never been duplicated. 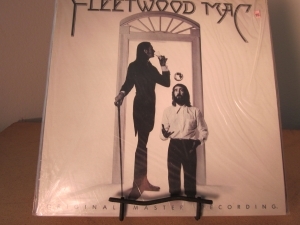 "Fleetwood Mac, Fleetwood Mac - Factory Sealed MFSL JVC Half-speed Pressing"
"Foreigner, Double Vision - MFSL LP"
"Frank Sinatra, Nice n Easy"
MFSL JVC Super Vinyl "Out of Print, Last Copies" Tracks Include: "Nice 'N' Easy" "That Old Feeling" "How Deep Is the Ocean?" "I've Got a Crush on You" "You Go to My Head" "Fools Rush In" "Nevertheless (I'm in Love with Youe)" "She's Funny That Way" "Try a Little Tenderness" "Embraceable You" "Mam'selle" "Dream" "Nearness of You" "Someone to Watch over Me" "Day In - Day Out" "My One and Only Love. 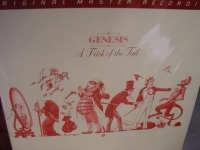 "Genesis, A Trick Of The Tail MFSL LP - CURRENTLY SOLD OUT"
"Gino Vannelli, Powerful People - Factory Sealed MFSL JVC Vinyl"
"Gordon Lightfoot, Sundown - Factory Sealed MFSL JVC Half-speed Japanese Pressing"
"Holst, The Plants - MFSL UHQR 200 Gram Box Set"
"Huey Lewis & The News, Sports (last copy)"
MFSL JVC Super Vinyl "Out of Print, Last Copies" Tracks Include: "Heart of Rock & Roll" "Heart and Soul" "Bad Is Bad" "I Want a New Drug" "Walking on a Thin Line" "Finally Found a Home" "If This Is It" "You Crack Me Up" "Honky Tonk Blues" "Heart of Rock & Roll [Session Take]" "Walking on a Thin Line [Session Take]" "If This Is It [Live]" "Heart and Soul [Live]" "I Want a New Drug [Live]". "The Rolling Stones, MFSL 11 LP Box Set - Mint Condition - Numbered #28 - SOLD OUT"
MFSL JAPAN PRESSED LP BOX SET - THE ROLLING STONES 11 LP COLLECTION - THIS IS LOW NUMBERED 28 - THAT MEANS ONLY 27 PEOPLE IN THE WORLD WILL OWN A LOWER NUMBER THEN YOU. A COLLECTORS DREAM LAST SET This is a MFSL Super Virgin Vinyl (so pure that you can see through it if held up to the light) JVC Half-Speed Japanese Pressing. THIS BOX SET recording is from the Victor Company of Japan for state of the art audiophile pressings. THE BOX COVER IS IN MINT CONDITION as well as the VINYL IS IN MINT CONDITION. ONLY 10,000 BOXES EVER PRESSED. THE COMPLETE COLLECTION HAS THESE ALBUM TITLES THE ROLLING STONES TheE BIG HIT MAKERS 12X 5 OUT OF OUR HEADS AFTERMATH BETWEEN THE BUTTONS BEGGAR'S BANQUET THEIR SATANIC MAJESTIES REQUEST LET IT BLEED GET YER YA YA'S OUT HOT ROCKS SIDES A & B HOT ROCKS SIDES C & D ALSO INCLUDES THE GEO-DISC THESE MFSL LP'S WERE pressed in Japan before Mobile Fidelity Sound Labs eventually pressed their Lps in the United States. The LP are Half-Speed Mastered with the Ortofon Cutting System from the Original Stereo Master Tapes. This MFSL LP has a special static free, dust free inner sleeve and heavy-duty protective packaging. 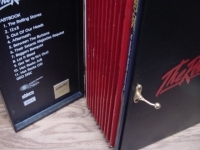 This LP box set has been Out of Print for 25 years and a bonafide audiophiles collectible. Also comes with a complete boxlet with each titles information. MFSL LIMITED EDITION. This Limited Edition is an audiophile collectors item that simply gives the feeling of being directly in the studio with the artist. Used nothing but the finest lacquers. The more you play the LP, your stylus will polish the grooves and actually improve the sonics of your MFSL LP. This recording is mastered from the Original Session Tapes. This Out of Print LP has all Liner Notes, Photos, and Artwork from the Original LP faithfully recreated. 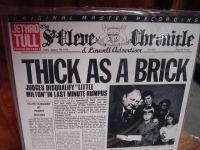 MFSL JVC Super Vinyl "Out of Print, Last Copies"
"Jethro Tull, Thick As A Brick MFSL FACTORY SEALED Half-Speed Japanese Pressing Low #15 "
MFSL SEALED LP - JETHRO TULL - THICK AS A BRICK #15- This is a MFSL Super Virgin Vinyl (so pure that you can see through it if held up to the light) JVC Half-Speed Japanese Pressing. THIS TULL recording is from the Victor Company of Japan for state of the art audiophile pressings AND LIMITED EDITION LOW NUMBERED #15 This MFSL LP was pressed in Japan before Mobile Fidelity Sound Labs eventually pressed their Lps in the United States. The LP was Half-Speed Mastered with the Ortofon Cutting System from the Original Stereo Master Tapes. This MFSL LP has a special static free, dust free inner sleeve and heavy-duty protective packaging. This LP has been Out of Print for 20 years and a bonafide audiophiles collectible. Ian Anderson writes the lyrics, composes the music, sings the songs, does the arrangements and finds time to play the flute, acoustic guitar, violin, saxophone, trumpet and whatever else is needed for THICK AS ABRICK. By this point in the group's history, Anderson has surrounded himself with the musicians who would finally allow him to explore his unique artistic vision. In the end, just remember, "Your wise men don't know how it feels to be THICK AS A BRICK." This is Jethro Tull's best album start to finish. The fact is, THICK AS A BRICK is definitely in the Top 10 maybe Top 5 albums ever made. MFSL LIMITED EDITION. This Limited Edition FACTORY SEALED LP is an audiophile collectors item that simply gives the feeling of being directly in the studio with the artist. Used nothing but the finest lacquers. The more you play the LP, your stylus will polish the grooves and actually improve the sonics of your MFSL LP. This recording is mastered from the Original Session Tapes. This Out of Print LP has all Liner Notes, Photos, and Artwork from the Original LP faithfully recreated. "Joe Jackson, Night & Day - Factory Sealed MFSL JVC Half-Speed Pressing - CURRENTLY SOLD OUT"
"John Klemmer, Touch - MFSL Factory Sealed Super Virgin JVC Half-Speed Japanese Pressing LP "
"Journey, Escape - MFSL Factory Sealed - CURRENTLY SOLD OUT"
"Karen Blake, Just One Heart - MFSL LP - CURRENTLY SOLD OUT"
MFSL SEALED - KAREN BLAKE - JUST ONE HEART - MFSL RARE CAFE SERIES . THE LIMITED PRESSING. OUT OF PRINT FOR DECADES. THIS IS OUR ONE & ONLY COPY. DON'T MISS OUT. This is a MFSL Half-Speed Pressing for state of the art audiophile sound. Ortofon Cutting System from the Original Stereo Master Tapes. This MFSL LP has a special static free, dust free inner sleeve and heavy-duty protective packaging. SIDE ONE TRACKS - 1. I WANT YOU BACK 2. I'M ONLY HERE FOR YOU 3. ANYTHING AT ALL 4. JUST ONE HEART 5. COME HELL OR HIGH WATER SIDE TWO - 1. CHAIN REACTION 2. I'M NOT A LOSER 3. SOMEONE TO LOVE 4. TIME HEALS THE WOUNDS 5. I'LL SHINE MY LIGHT ON YOU MUSICIANS - GUITAR: STEVE LUKATUR - MICHEAL LANDAU - DAN HUFF KEYBOARDS - ROBBIE BUCHANAN - JAMES NEWTON HOWARD - PETER WOLF - STANE KEISTER - ALAN PASQUA - KYLE LEHNING BASS - NATHAN EAST - NEIL STUBENHAUS - PHILIP GIFFIN DRUMS - CARLOS VEGA - LARRIE LONDIN - PAT MASTELOTTO PERCUSSION LENNY CASTRO SAXPHONES - ERNIE WATTS - BILL PUETT E.V.I - MARK HATCH VOCALS - KARLA BONOFF - CHRISTOPHER CROSS - KENNY EDWARDS - ANDREW GOLD - DAVE LOGGINS - WENDY WALDMAN MFSL LIMITED EDITION. This Limited Edition FACTORY SEALED LP is an audiophile collectors item that simply gives the feeling of being directly in the studio with the artist. Used nothing but the finest lacquers. The more you play the LP, your stylus will polish the grooves and actually improve the sonics of your MFSL LP. This recording is mastered from the Original Session Tapes. This Out of Print LP has all Liner Notes, Photos, and Artwork from the Original LP faithfully recreated. A SONIC WORK OF ART. These Out of Print gems are the Finest/Rarest of the audiophile LP market. The future of these collectibles is so exciting because each piece is a sonic work of art that will never be reproduced using this state of the art proprietary technology, high quality ingredients and attention to detail from beginning to end. The depth and dimension of the music is delivered back to you with all the dynamics and richness of the live recording session. With Mobile Fidelity, you will come as close as possible to hearing the three-dimension quality of the music just as the artist intended it to be. 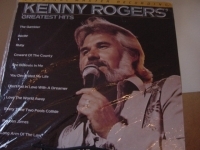 "Kenny Rogers, Greates Hits - Factory Sealed MFSL JVC Half-speed Japanese Pressing"
MFSL ORIGINAL SEALED LP - KENNY ROGERS - GREATEST HITS - T This is a MFSL Super Virgin Vinyl (so pure that you can see through it if held up to the light) JVC Half-Speed Japanese Pressing. 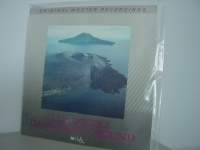 THIS recording is from the Victor Company of Japan for state of the art audiophile pressings. 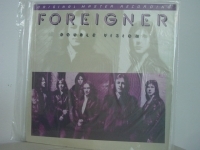 This MFSL LP was pressed in Japan before Mobile Fidelity Sound Labs eventually pressed their Lps in the United States. The LP was Half-Speed Mastered with the Ortofon Cutting System from the Original Stereo Master Tapes. This MFSL LP has a special static free, dust free inner sleeve and heavy-duty protective packaging. This LP has been Out of Print for 20 years and a bonafide audiophiles collectible. Track Listings 1. Gambler 2. Lady 3. Don't Fall in Love With a Dreamer 4. Ruby, Don't Take Your Love to Town 5. She Believes in Me 6. Coward of the County 7. Lucille 8. You Decorated My Life 9. Reuben James 10. Love the World Away 11. Every Time Two Fools Collide 12. Long Arm of the Law LIMITED EDITION. This Limited Edition LP is an audiophile collector's item that simply gives the feeling of being directly in the studio with the artist. Used nothing but the finest lacquers. The more you play the LP, your stylus will polish the grooves and actually improve the sonics of your MFSL LP. This recording is mastered from the Original Session Tapes. This Out of Print LP has all Liner Notes, Photos, and Artwork from the Original LP faithfully recreated. 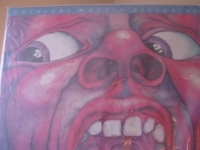 "King Crimson, In The Court Of King Crimson - MFSL Factory Sealed Vinyl"
MFSL ORIGINAL SEALED LP - KJNG CRIMSON - IN THE COURT OF KING CRIMSON - This is a MFSL Super Virgin Vinyl (so pure that you can see through it if held up to the light) JVC Half-Speed Japanese Pressing. Recording is from the Victor Company of Japan for state of the art audiophile pressings. THIS IS OUR LAST COPY FOREVER. Track listing 1. 21st Century Schizoid Man / Mirrors 2. I Talk To The Wind 3. Epitaph / March For No Reason / Tomorrow And Tomorrow 4. Moonchild / Dream, The / Illusion, The 5. Court Of The Crimson King, The / Return Of The Fire Witch, The / Dance Of The Puppets, The Details Playing time: 43 min. Producer: King Crimson Distributor: MFSL Recording type: Studio Recording mode: Stereo Album notes King Crimson: Greg Lake (vocals, bass); Robert Fripp (guitar); Ian McDonald (flute, clarinet, saxophone, keyboards, background vocals); Michael Giles (drums). Kiing Crimson's debut album introduced to the world a group that threw various '60s genres into a blender and set the results afire with a blowtorch. One of the pioneers of the progressive rock movement that began in the late '60s and flourished in the early '70s, King Crimson were arguably the most consistently creative bands in the genre. IN THE COURT they blend wispy, Donovan-ish folk-rock with Wagnerian grandeur, mind-bending psychedelia and even a free jazz sensibility. 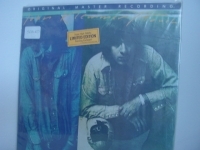 Greg Lake's vocals are effectively theatrical but more restrained than in his later ELP work. Fripp was just learning how to make mincemeat of a chord progression, but he's alternately lyrical and frenetic as the moment requires. The extended jams on cuts like "Moonchild" are light-footed and inventive, never ponderous, thanks largely to the crisp, jazzy drumming of Michael Giles. "20th Century Schizoid Man'"s bone-crushing ensemble riffs and crazed solos were of a heft unprecedented in rock and roll. Most importantly, the trademark Crimson would stick to throughout their career is shown here; dynamic variations between soft/lyrical and raucous/experimental. This was seen not just between songs but in the drastic dynamic shifts between sections in a single composition. 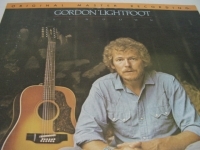 This MFSL LP was pressed in Japan before Mobile Fidelity Sound Labs eventually pressed their Lps in the United States. The LP was Half-Speed Mastered with the Ortofon Cutting System from the Original Stereo Master Tapes. This MFSL LP has a special static free, dust free inner sleeve and heavy-duty protective packaging. This LP has been Out of Print for 20 years and a bonafide audiophiles collectible. 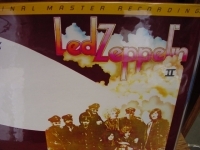 "Led Zeppelin II - MFSL LP - CURRENTLY SOLD OUT"
MFSL JVC Super Vinyl "Out of Print, Last Copies" Tracks Include: "Captain Fingers" "Dolphin Dreams" "Fly by Night" "Margarita" "Isn't She Lovely" "Space Glide" "Sun Song". 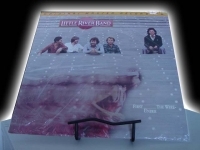 "Little River Band, First Under the Wire"
"Lorin Maazel Cleveland Orchestra, Respighi Fieste Romane The Pines of Rome MFSL LP - CURRENTLY SOLD OUT"
Respighi/Feste romane/The Pines of Rome MFSL SEALED - LORIN MAAZEL & THE CLEVELAND ORCHESTRA - RESPIGHI - FESTE ROMANE - THE PINES OF ROME. THE LIMITED PRESSING. 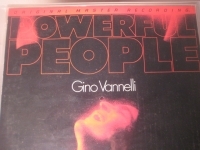 THIS LP WAS PRESSED ON JVC SUPERVINYL FROM JAPAN. This is a MFSL Super Virgin Vinyl (so pure that you can see through it if held up to the light) JVC Half-Speed Japanese Pressing is a recording from the Victor Company of Japan for state of the art audiophile pressings. 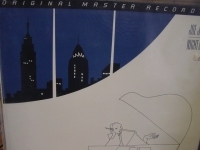 This MFSL LP was pressed in Japan before Mobile Fidelity Sound Labs eventually pressed their Lps in the United States. 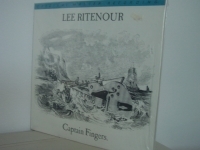 The LP was Half-Speed Mastered with the Ortofon Cutting System from the Original Stereo Master Tapes. 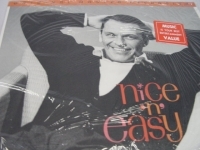 This MFSL LP has a special static free, dust free inner sleeve and heavy-duty protective packaging. 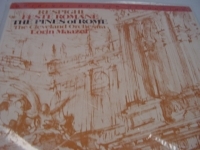 SIDE ONE - FESTE ROMANE (25:35) SIDE TWO - THE PINES OF ROME (21:00) MFSL LIMITED EDITION. This Limited Edition FACTORY SEALED LP is an audiophile collectors item that simply gives the feeling of being directly in the studio with the artist. Used nothing but the finest lacquers. The more you play the LP, your stylus will polish the grooves and actually improve the sonics of your MFSL LP. This recording is mastered from the Original Session Tapes. 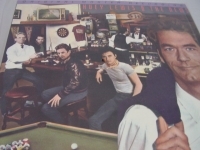 This Out of Print LP has all Liner Notes, Photos, and Artwork from the Original LP faithfully recreated. A SONIC WORK OF ART. These Out of Print gems are the Finest/Rarest of the audiophile LP market. The future of these collectibles is so exciting because each piece is a sonic work of art that will never be reproduced using this state of the art proprietary technology, high quality ingredients and attention to detail from beginning to end. The depth and dimension of the music is delivered back to you with all the dynamics and richness of the live recording session. With Mobile Fidelity, you will come as close as possible to hearing the three-dimension quality of the music just as the artist intended it to be. 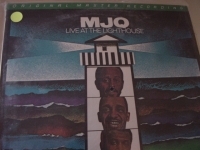 MFSL JVC Super Vinyl "Out of Print, Last Copy"
"Modern Jazz Quartet, Live At The Lighthouse - Factory Sealed MFSL JVC Half-speed Japanese Pressing"
MFSL SEALED MJQ - LIGHTHOUSE - Half Speed LP. This is a MFSL Super Virgin Vinyl (so pure that you can see through it if held up to the light) JVC Half-Speed Japanese Pressing. THIS recording is from the Victor Company of Japan for state of the art audiophile pressings. MODERN JAZZ QUARTET Live At The Lighthouse - recorded in its entirety at The Lighthouse in Hermosa Beach, California iin 1967. 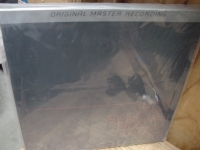 Rare 1984 US limited edition Mobile Fidelity half-speed mastered 'Original Master Recording' 7-track audiophile LP issue of the classic 1967 album pressed on high definition 100% virgin vinyl in Japan TRACK LISTINGS 1. The Spiritual 2. Baseball 3. The Shadow Of Your Smile 4. Intima 5. Novamo 6. For Someone I Love 7. What's New Do your homework on this title and check with every audiophile retailer you know to affirm how rare this title has become. MFSL LIMITED EDITION. This Limited Edition FACTORY SEALED LP is an audiophile collector's item that simply gives the feeling of being directly in the studio with the artist. Used nothing but the finest lacquers. The more you play the LP, your stylus will polish the grooves and actually improve the sonics. It includes rice paper disc sleeve to protect each of these rare LPs.